As unexpected as a home flood can be, homeowners can feel safe knowing that the water damage restoration Tahoe techs at 911 Restoration Tahoe are available 24/7/365 in order to protect them every single day of the year. Our water damage restoration Tahoe professionals have many years of experience working in the home restoration industry and our team is licensed, bonded and insured to get the job done correctly the first time around. Property owners should be especially wary of property damage during these winter months. Natural disasters such as snow storms and ice dams can potentially have you needing unplanned water damage restoration services. When you need the best water cleanup and drying processes in the industry, call our water damage restoration Tahoe staff and our technicians will respond within 45 minutes to give you a free home inspection. If water has recently invaded your living space, then our water damage restoration Tahoe technicians want homeowners to be aware that you may also have another problem growing in your home that you may not even be aware about. This problem is mold, and it loves moisture, and our water damage restoration Tahoe agents understand that if your home has been flooded, the mold spores have the change to easily develop into an infestation. 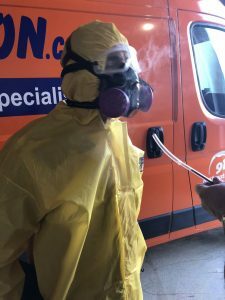 We want you to know that when you hire us we will cover all your bases, so you can completely relax and let extract the water, dry the premises, restore any damage and remove mold, if needed. 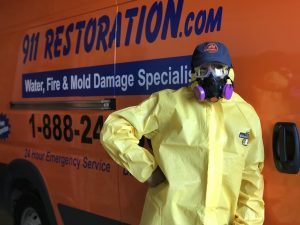 Our water damage restoration Tahoe pros have many years of experience with water damage restoration, and we know the comprehensive techniques and skills needed to properly, safely and quickly administer the remediation procedures. We will check every corner of the property to locate the source of the water damage, and repair it at the source, so call our water damage restoration Tahoe unit today. Our water damage restoration Tahoe pros understand just how overwhelming this whole ordeal can be, but when you hire our us you can let us take over complete responsibility, so you can have peace of mind. We want you to understand that dealing with invasive water in your home requires outside help, and our water damage restoration Tahoe agents is here to help you with it all. 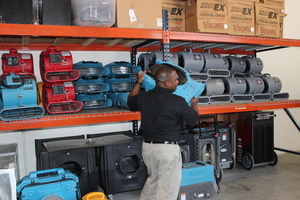 Our specialists want you to be able to literally just relax while we get to work restoring your home. It can be confusing to understand your insurance policy, especially if you have never had to use it before, which is why our water damage restoration Tahoe unit will go over your damages with you and file your claim for you on your behalf. Even though we accept insurance, our water damage restoration Tahoe operation always offers affordable prices on all of our water remediation services, so you can stay calm if for some reason your issue is not fully covered. Call our water damage restoration Tahoe workers at 911 Restoration of Tahoe today and our members will get your home on the path to a fresh start as quickly as possible.